The dynamic Jewish calendar provides constant religious challenges and spiritual opportunities. It allows us to focus on the birth of our nation, our travels in the desert, our relationship to God, and the giving of the Torah. 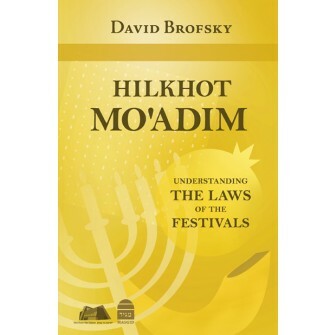 Through the in-depth study of the Torah and the halakhot of the mo’adim, one can and should enrich one’s personal religious, and spiritual experience. That is the primary purpose of this book.